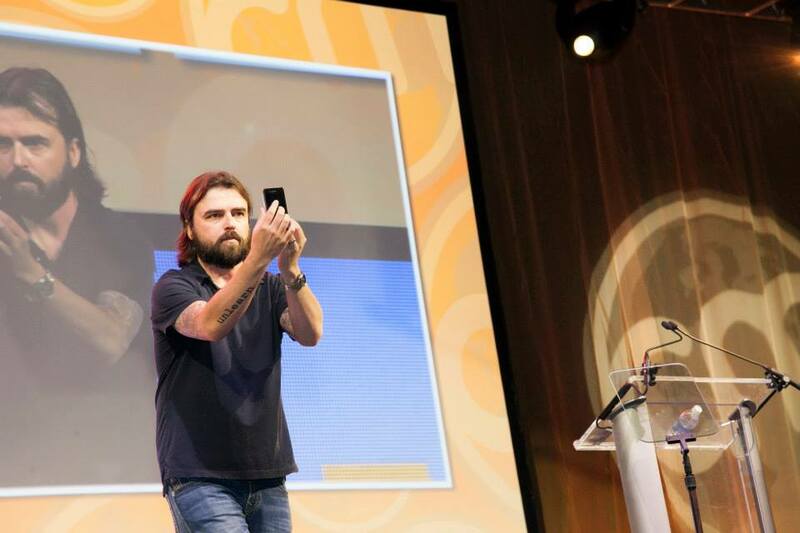 Scott Stratten is President of Unmarketing, best-selling author of QR Codes Kill Kittens and a known social media influencer. He’s spoken at events for PepsiCo, Adobe, Red Cross, and others about viral and authentic marketing. His comical website, nooooooooooooooo.com features only a button, a sound, an image of Darth Vader, and Google Adwords has received over 20 million visitors. Scott uses his experience with a rude airline attendant to show how immediacy matters in modern content marketing. When a customer has a problem or a negative experience with a company, the difference between responding a few minutes later and a few hours later can make all the difference. A customer with an acute problem will have an acute reaction. Thus, a company’s response several days later is little consolation to the customer, who has probably forgotten about the issue. It’s important to have ways to not only track customer opinions and complaints, but ways to immediately respond and lessen the damage done. One of the best ways to do this is by having a consistent social media presence. Scott received a prompt apology on Twitter from an airline representative after he tweeted his complaint. In many cases, it’s being heard that matters most to a customer. Doing so can entirely restore their respect for a company. Marketers can examine their stats day and night to keep track of the numbers, however, they can’t determine the quality of those replies. Stratten warns against scheduling social media posts, comparing it to sending a mannequin to a networking event. Companies can clean up their social media accounts by being more deliberate about who they follow, avoiding crossposting and replying meaningfully to different people. Entirely different stories can be told depending on how companies choose their metrics. GooglePlus boasts a statistic claiming 60 percent of their users sign in every day. However, when examined closer, not all of these people are truly visiting the GooglePlus page – Google is including those who sign into Google and YouTube. Stratten insists this is how we distort data and confuse what’s really going on. Similarly, when companies estimate their social media reach by multiplying followers time the number of tweets and adding the hashtags, they are probably overestimating. Another example Stratten gives concerns email marketing. Based on four different studies, the best times to email were said to be 12 a.m.-3 a.m., 8 a.m.- 10 a.m., 12 p.m.-3 p.m., and 5 p.m.-8 p.m. There are simply too many variables involved in trying to determine this, which is why each group of researchers came up with four opposing answers. Time of day, while given plenty of attention and scrutiny in the marketing world, matters far less than quality subject lines and content. When surveillance of a FedEx worker thrusting a customer’s package over a tall fence went viral with a million views in a day, FedEx didn’t shy away or try to hide the incident. They immediately posted an article entitled, “Absolutely, Positively Unacceptable,” allowing readers to comment. They also shared an apology video featuring the Senior VP of the company. Stratten saw FedEx’s response as not only redeeming, but something that enhanced the public’s perception of them. FedEx proved that screw-ups can serve as an opportunity to become better. Read more on the highlights and key takeaways (Scott included) from Content Marketing World 2014. 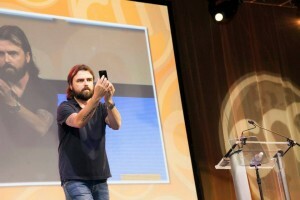 Fortunately for CMWorld, Scott will be returning to Content Marketing World for a second year. Be sure to visit his session this year! Join us in September – registration is now open, and code CMI100 will save you $100 off of current rates.